ATP of Adenosine Triphosphate as we know it, is the energy currency of the cells in our body. We often refer to ATP in our training and muscle development. ATP infect is the stored of form of energy in our muscles that gets used up when we perform exercises. Although ATP is stored in the muscle the quantities are very less and can last for only about 3-4 seconds. 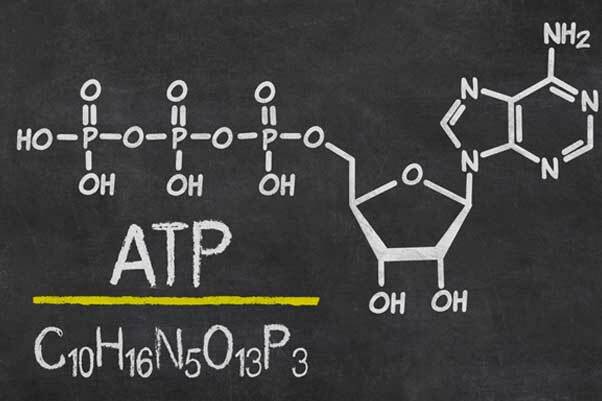 Once the ATP stores are consumed the energy systems make ATP from a compound called creatine phosphate. This can be used for a maximum of 10 seconds. Hence any activity that is done for a period of 10-12 seconds does not give easy fatigue while anything done for a longer duration than that gives immense fatigue. This where people started training for lower reps to ensure that they do not have a lack of energy fatigue and doing very large number of reps only results in lactic acid formation most of the time. To sustain energy after creatine phosphate reserves are also over, body uses the carbohydrates and fat stores as means to create ATP. Since carbohydrates get faster absorbed by the body ATP generation is faster with them. Because carbs can be metabolized anaerobically, without oxygen, they become a vital energy source when oxygen supply to your muscles can’t keep up with demand.